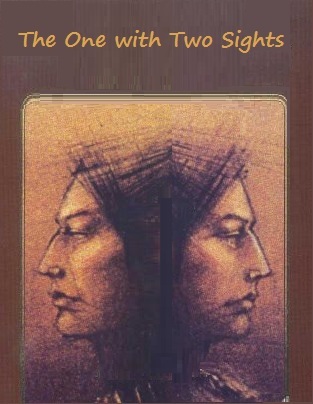 Ecologic warning - woe to them that destroy the earth, native prophecy by Kate Luckie, Wintu holy woman. "Everywhere The Land Is Sore"
When a society looks upon nature as endowed with integrity and completeness, with the sense of shared ancestry and kindred spirit one experiences in loving human relationships, it is hardly surprising that its people feel a profound sense of empathy for the earth's suffering [Nature's suffering] when it is exploited or abused. 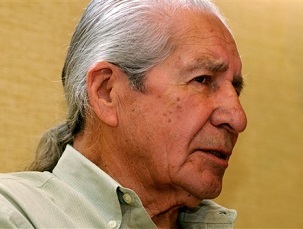 Non-Native peoples have intensely exploited traditional lands in northern inland California over the past two centuries: the feverish mining for gold and copper ore; the large-scale commercial logging of vast evergreen forests; the construction of steel railways, spinal highways, huge hydro-electric dams, and behind them, great reservoir lakes. A wanton destruction of mountains, rivers, and forests often accompanied such purported milestones of American "progress." But for many Wintu Indians, a personal sense of the earth's pain has persisted. Especially to the most sensitive Wintu survivors, these incursions could only be viewed as bloody wounds on a sentient earth's body. During the early decades of the twentieth century, a Wintu shaman, an elderly woman from the Bald Hills area named Kate Luckie (see Cottonwood history), tried to convey her own sense of personal loss [and foreboding - her belief in impeding 'judgment' of sorts]. Her words, recorded by ethnographer Cora Du Bois (also see Alice Shepherd) in her 1935 monograph Wintu Ethnography, seem to seethe with the palpable anger and pain that one might feel upon seeing a member of one's own family brutalized, for another's gain. 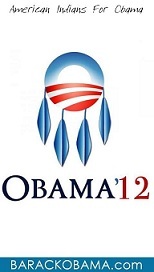 When the people all die (the Indians), then God will let the water come down from the north. Everyone will drown. That is because the white people (yapytu) never cared for the land or deer or bear. When we Indians kill meat, we eat it all up. When we dig roots, we make little holes. When we build houses, we make little holes. When we burn grass for grasshoppers, we don't ruin things. We shake down acorns and pine nuts. We don't chop down the trees. We only use dead wood. But the white people (yapytu) plow up the ground, pull up the trees, kill everything. The tree says, "Don't. I am sore. Don't hurt me." But they chop it down and cut it up. The spirit of the land hates them. They blast out trees and stir it up to its depths. They saw up the trees. That hurts them. The people (Indians) never hurt anything, but white people (yapytu) destroy all. They blast rocks and scatter them on the ground. The rock says, "Don't. You are hurting me." But the white people (yapytu) pay no attention. When the people (Indians) use rocks, they take little round ones for their cooking. The white people dig deep long tunnels. They make roads. They dig as much as they wish. They don't care how much the ground cries out. How can the spirit of the Earth like the white man - yapytu? That is why God will upset the world -- because it is sore all over. Everywhere the white man has touched it, it is sore. It looks sick. So it gets even by killing him when he blasts. But eventually the water will come. Such words of heartfelt indignation are entirely appropriate to the cultural context of a Wintu worldview that defines the bond between human beings and their fellow creatures as one of reciprocal affection and communication, based on ancient shared origins. Seen in this light, environmentally destructive acts are fare more threatening than mere breaches of territorial boundaries; they are murderous assaults upon a loved one's "person." The connection between the Wintu and their traditional lands is one of blood kinship, and within this elemental social bond, as in healthy human relationships, moments of grief and sorrow tend, over time, to be counterbalanced by ones of ecstasy and joy. Note: I have found no extant photographs of Kate Luckie. Her Wintu Roots | sacred Wintu lands | Good Stewardship | The long view | Gaming demurral| Earth Mother Crying | Cancer Help | The Trauma | Native Prophecies | Savage whites? The white man's Bible warns of a time, a day of judgment, when the Great Judge, the Spirit in the Sky, shall reward the faithful, and shall destroy them which destroy the earth. Then shall the land enjoy her sabbaths, as long as it lieth desolate; even then shall the land rest, and enjoy her sabbaths. It seems to me that we are living in a time of prophecy, a time of definitions and decisions. We are the generation with the responsibilities and the option to choose the The Path of Life for the future of our children , or, the life and path which defies the Laws of Regeneration. "The environment isn't over here. The environment isn't over there. You are the environment." "If you have a clean environment, you will have a healthy atmosphere. This will make you happy and your happiness will bring joy to your parents and it will affect the community, too. Then there will be peace of mind to one and all." "The young generation can influence their elders and can make them understand the environmental problems that are faced by us today. The youth can make them see that our environment is deteriorating day by day." ...global warming is real. It is imminent. It is upon us. It's a lot closer than you think, and I don't think we're ready for what's coming. We're not instructing our people, we're not instructing our children, we're not preparing for what is coming. And it surely is coming. We've pulled the trigger, and there is nothing we can do now to stop it. The event is underway. 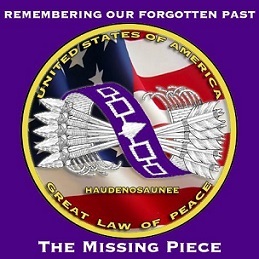 The chiefs, and I personally, feel that we have not passed the point of no return. Not yet, but we're approaching it. And the day when we do pass that point, there will be no boom, no sonic sound. It will be just like any other day. Modern man, the world eater, respects no space and no thing green or furred as sacred. The march of the machines has entered his blood. Touch the earth, love the earth, her plains, her valleys, her hills, and her seas; rest your spirit in her solitary places. For the gifts of life are the earth�s and they are given to all, and they are the songs of birds at daybreak, Orion and the Bear, and the dawn seen over the ocean from the beach. Nature -- her power to thrill or calm, her thunderpeal, her mother-touch, her divine instructiveness. 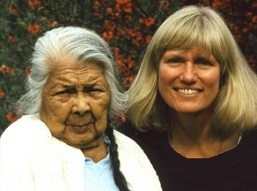 Claire Cummings with the "Mother of Our people"